Born Lovely by Sarah Jessica Parker is a new woody floriental version of her original 2005 Lovely perfume. This oriental floral scent celebrates inner beauty and includes notes of freesia, cassis, and cedarwood. The Lovely perfume bottle is reinvented with a gray packaging featuring pale pink accents. 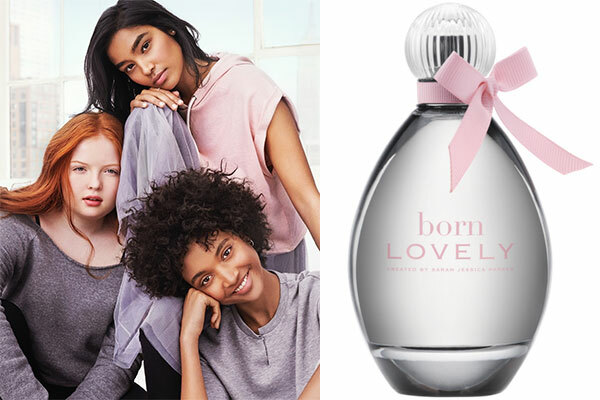 Launched in July 2018, Born Lovely is available at Kohl's in an eau de parfum spray (1 oz, 1.7 oz, 3.4 oz $38-$68) and rollerball ($20).